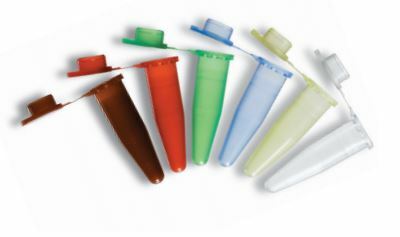 Microcentrifuge tubes are essential to any lab that handles small volumes of liquids, samples or reagents. In life science and biological labs, these little plastic microcentrifuge tubes are used for all sorts of applications from sample storage to running reactions and spinning down or separating samples. 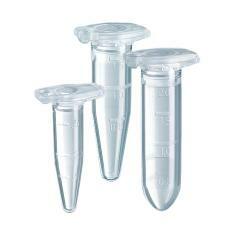 Eppendorf tubes, manufactured by Eppendorf, are some of the most popular microcentrifuge tubes around the world. However, many other types and brands of microcentrifuge tubes exist. The microcentrifuge tube, often referred to as 1.5 ml eppendorf tubes, is essential to any lab that handles small volumes of liquid. In life science and biological labs, these little plastic tubes are used for all sorts of applications from sample storage to running reactions and spinning down or separating samples. Whatever experiments you are conducting, if you work with small volumes of 2 mL or less you will likely need these tubes in your lab. All microcentrifuge tubes are compatible with any of the microcentrifuges and centrifuges offered at Pipette.com. Check out our selection and special offers and promotions below. 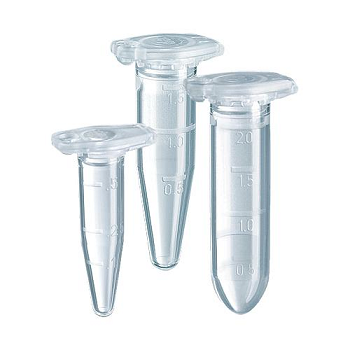 Eppendorf Safe-Lock Centrifuge Tubes Deliver the Perfect Sealing & Evaporation Protection. Designed to be completely durable and dependable, the Eppendorf Safe-Lock Centrifuge Tubes (0.5/1.5/2mL) provide excellent centrifugation stability which prevents the tubes from breaking and thus protecting your samples. Brandtech microcentrifuge tubes fit most common rotors and may be spun up to 30,000 RCF (g) ( 20,000 x g for 1.5mL; 30,000 x g for 1.5mL with lid closure at 20°C for 20 min). All tubes are manufactured from virgin polypropylene in Germany and undergo stringent quality control process.